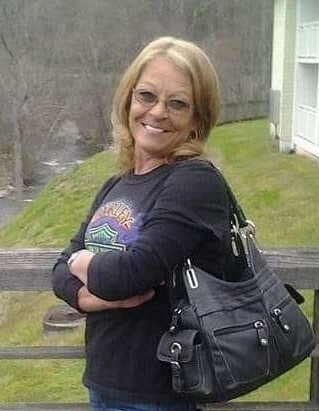 Shirley Darlene Vassar Robinson, 59, passed away Sat., Feb. 9, 2019 at Alive hospice. A native of Cannon Co., she lived in Murfreesboro. She is survived by her husband of 28 years, Roger Robinson of Murfreesboro; mother, Martha Lee Duggin Ferrell of Murfreesboro; sons, Dewayne Haynes of Murfreesboro and Mikey (Michelle) Haynes of Readyville; step-sons, Shannon (Cydney) Robinson of Woodbury and Chad Robinson of Bradyville; siblings, Randy (Margaret) Vassar of Bradyville, Donald (Shelia) Vassar of Walterhill, Jennifer (Mike) Deerman of Smyrna, Bruce (Darla) Vassar of McMinnville, Andy (Keely) Vassar of Kitrell; grandchildren, Chris (Dani) Haynes, Austin Haynes, Tatum & Everitt Haynes; step grandson, Ethan Grizzle; step great grandchildren, Ansleigh and Paisley. Also surviving are several nieces and nephews.